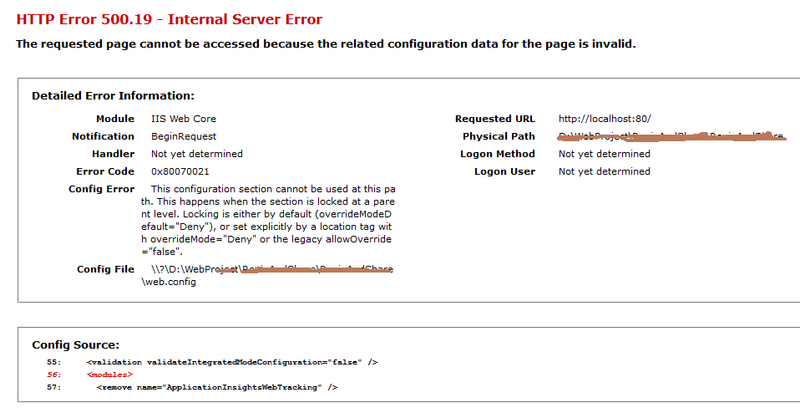 Error- This configuration section cannot be used at this path.This happens when the section is locked at a parent level. 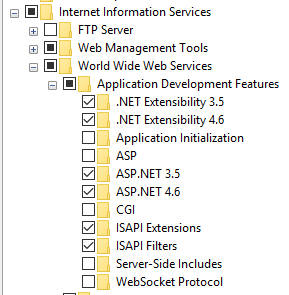 Recently I installed Windows 10 and started developing application in MVC5. I hosted my application in IIS, but it was throwing below error while accessing URL. I searched this issue over internet and found the solution. Check all except CGI, ASP and few more as shown in below screen shot. Try this and comment down below if it helps you.